The FIAT® 500X comes loaded with value and utility. There's spacious room for 5 and all your gear, along with standard features like air conditioning, 3.5 inch customizable monochrome in-cluster display, Uconnect® 3.0 multimedia centre and remote keyless entry. Under the hood is a 1.4L MultiAir® I-4 Turbo with 160 horsepower and 184 lb-ft of torque for spirited performance and exceptional fuel efficiency. 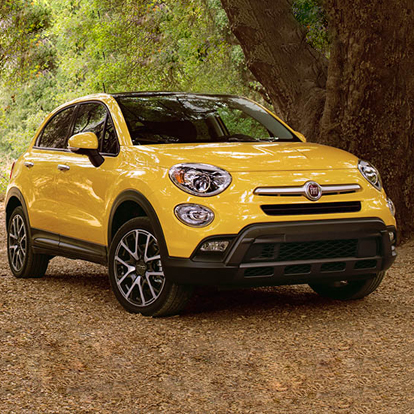 The all-new 500X adds a fun new chapter to the FIAT family. TAKE THE 2016 FIAT 500X POP FOR A SPIN!